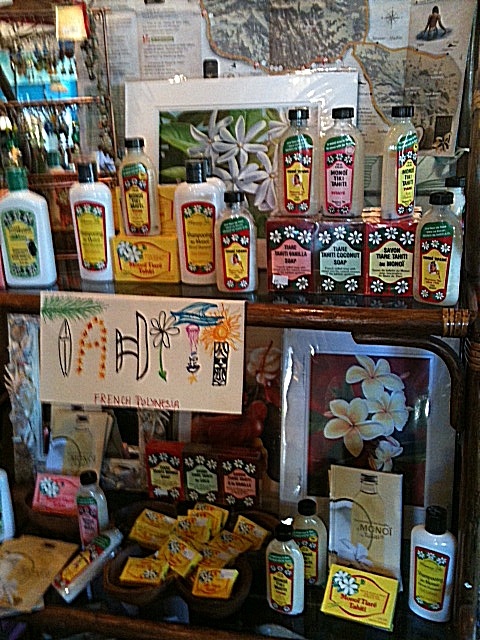 Vainui, our Tahitian Intern, received the first shipment of Tahitian Products, which she has now displayed in the store. These include coconut oils, soaps, and shampoos in amazing island fragrances. The coconut oils are the kind that have to be warmed slightly in order for them to be applied, but have a wonderful soothing effect!